An Eminent Divine and Gospel Preacher. The life and death of that holy and reverend man of God, Mr. Thomas Cawton … with severall of his speeches and letters, while in exile, for his loyalty to the Kings Most Excellent Majesty : to which is annexed a sermon preach’d by him at Mercers Chappel, Febr. 25. 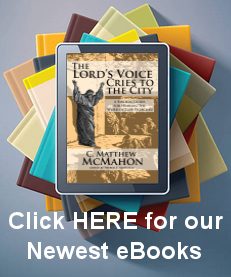 1648 … : published with the approbation of several of his brethren, ministers of the Word in London. God’s Rule for a Godly Life, 1662. Thomas Cawton (1605-1659) This excellent divine was born at Rainham in Norfolk, in the year 1605, and educated in Queen’s college, Cambridge. He was desirous of the ministerial work from a child, and was patronized and supported at the university by Sir Roger Townshend. He made uncommon progress m the knowledge of the arts, the languages, and divinity; and his piety was so remarkable, that it became a proverb in the university. The profane scholars used to stigmatize those who were religiously inclined ” as poisoned by Cawton’s faction, and as becoming Cawtonists.” Having continued seven years at the university, he removed to Ashwell, about twelve miles from Cambridge, to live in the bouse of Mr. Herbert Palmer, another celebrated puritan. His principal object in this removal was the study of divinity, in which he made a remarkable proficiency, and occasionally assisted Mr. Palmer in the exercises of the pulpit. After wards, he became domestic chaplain to Sir William Armin, of Orton in Northamptonshire; where he was exceedingly beloved for his piety, abilities, and faithfulness. Having continued in this situation four years, he, in the year 1637, became rector of Wivenhoe in Essex, being presented to the living by Sir Roger Townshend. When he entered upon his charge at Wivenhoe, it was a place remarkable for drunkenness, swearing, sabbath-breaking, and almost every other scene of profaneness; but, by the blessing of God upon his faithful labours and exemplary deportment, it soon became equally remarkable for sobriety, the observation of the sabbath, and unfeigned piety. The inhabitants of the town usually brought their fish to sell on the sabbath day, when they kept their market near the church-doors. Mr. Cawton’s righteous soul was sorely vexed with their ungodly ways ; and, by his faithful and unwearied endeavours, the evil practice was abolished, and a happy reformation followed. It is further added, that he was the means of bringing great numbers to the saving knowledge of the gospel; and that no minister was ever more beloved by his people, i He married the daughter of Mr. William Jenkin, the ejected nonconformist. Mr. Cawton having continued his ministerial labours at the above place about seven years, his health began visibly to decline, when he was advised to remove to some other situation, particularly for a change of air; and receiving, about the same time, an invitation to Bartholomew’s church, behind the Exchange, London, he removed to the metropolis. The change proved happily instrumental in the restoration of his health, and the means of preventing the return of the ague. In London, Sir Harbottle Grimstone, who lived in his parish, was his constant hearer and his very good friend. In the year 1648, he united with the London ministers in thendeclaration against the king’s death:} and, the same year, was brought into trouble for his zeal in the royal cause. Being invited by the lord mayor and aldermen, to preach at Mercer’s chapel, he prayed for the royal family, especially for king Charles II., whom he considered as the legal sovereign: but delivered nothing offensive in his sermon. His prayer, however, proved offensive to the ruling party. The day following, the council of state issued a warrant to apprehend him. The warrant, dated from Derby-bouse, February 26, 1648, was the. following: “These are to will and require you forthwith, upon sight “hereof, to make speedy repair unto any such place where you shall upon his appearance before his judges, he was charged with having proclaimed the young king; and that, according to the existing laws, he was guilty of high treason. He was, therefore, required to make his humble submission, and to retract what he had uttered, as the indispensable condition of his release. This Mr. Cawton refused to do, saying, ” If I have done any thing not becoming a minister of the gospel, I hope I should be willing to recant.” He was then sent prisoner to the Gatehouse, where he continued about six months. But the parliament’s forces in Ireland having obtained a signal victory, the house of commons resolved that a certain number of prisoners, and Mr. Cawton among the rest, should be set at liberty, as a testimony of thankfulness to God. He was accordingly released, August 14, 1649. Mr. Cawton having obtained his liberty, returned to his family and his flock, and continued for some time in the zealous and laborious observance of his ministerial duties. But in the year 1651, being deeply concerned in Love’s plot, he fled to Holland, together with Mr. James Nalton. Upon their arrival, the English church at Rotterdam being destitute of a pastor, they were chosen co-pastors to the society. Mr. Nalton, afterwards one of the ejected nonconformists,; having leave to come back, returned home; but Mr. Cawton not enjoying the same privilege, remained at Rotterdam to the day of his death. His fame, both as a preacher and a scholar, soon spread through the United Provinces. He shone as a star of the first magnitude, and was highly esteemed by the Dutch, French, and English ministers in those parts. He presently became intimately acquainted with the learned Voetius, Leusden, Uchtman, Hulsius, and others, highly celebrated for piety and literature. The publication of those famous works, “Walton’s Polyglot Bible,” and ” Castel’s Lexicon Heptaglotton,” were greatly .indebted to his encouragement and exertions^ In the year 1658, he received a letter from Charles TL, then at Brussels, in which his majesty attempts to acquit himself of being at all inclined to popery, and urges Mr. Cawton to use his utmost endeavours to suppress all such unworthy aspersions. 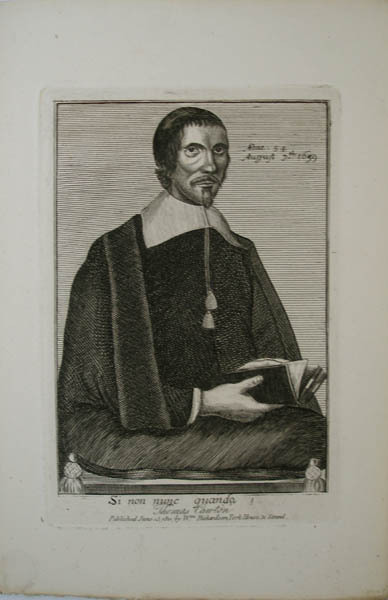 At length, Mr. Cawton having served the Lord seven years at Cambridge, seven years at Wivenhoe, seven years in London, and seven years in Holland, died at Rotterdam of a fit of the palsy, August 7, 1659, in the fifty-fourth year of his age. He was a laborious student, an excellent logician, and an incomparable linguist. He had a most exact knowledge of the Greek, Hebrew, Chaldee, Syriac, and Arabic; and was familiar in the Dutch, Saxon, Italian, Spanish, and French languages. But that which made his excellent abilities and literature appear to the greatest advantage, was his eminent piety and holy conversation. He was highly distinguished for his faith, patience, sincerity, self-denial, and hospitality. As a minister, he was laborious, affectionate, and faithful; as a master, he was the teacher and governor of his house; as a husband, he was affectionate and tenderhearted; as a father, he was ever careful to promote the best interests of his children ;t and, it is added, ” he was a great honour to his profession, and a pattern of virtue in every social relation. He had few equals in learnings and scarcely a superior in piety” Wood says, ” he was a learned and religious puritan,” which is no mean character from his unworthy pen. The learned Mr. Thomas Cawton, one of the ejected nonconformists in 1662, was his son.y He trod in the footsteps of his father, whose life he published in 1662, with tin sermon annexed which his father preached at Mertftr’s chapel, February 25, 1648, entitled, ” God’s Rule for a Godly Life; or, a Gospel-Conversation opened and applied,” from Phil. i. 27.